The bar’s first anniversary comes the same month the Georgia native is to be officially inducted into the nearby Country Music Hall of Fame. The venue already has cemented its position as a go-to Nashville hotspot since opening its first two floors in October 2016 and adding the third floor and rooftop spaces in May 2017, serving more than half-a-million drinks since its opening. Various drink specials and events will run all weekend …beginning Thursday, October 5th as part of AJ’s milestone celebration. In May, Jackson and his band gave a surprise performance on the ground floor’s “Honky Tonk Stage” following a full-length, sold-out concert at the city’s Ascend Amphitheatre. More recently, AJ’s has played host to such special events as CNN’s live coverage of the solar eclipse from the rooftop in August…and the venue led a #HonkyTonks4Texas initiative joined by several other venues, donating $1 for every item sold at the bar over Labor Day Weekend to aid hurricane relief efforts. 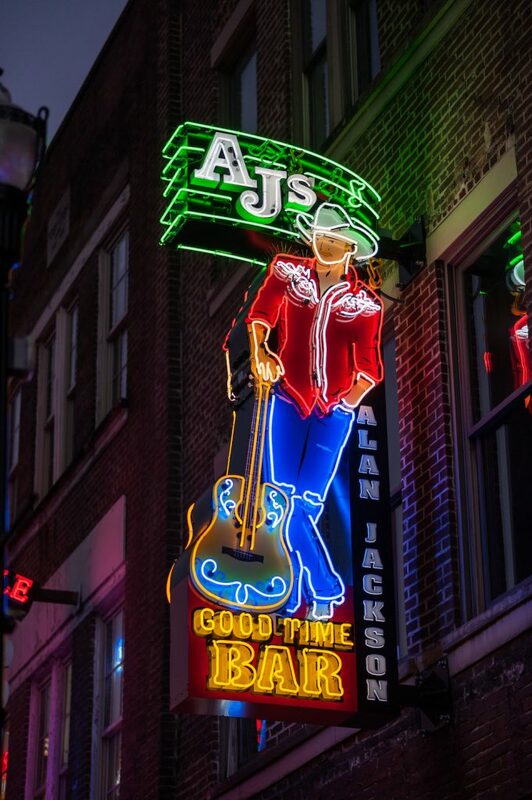 AJ’s has been the site of engagements, radio broadcast events, countless memorable moments for tourists and locals alike, and even a rooftop wedding.